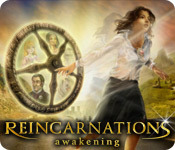 Reincarnations: The Awakening is rated 3.7 out of 5 by 36. Rated 5 out of 5 by kerith90angel from Based on FULL GAME + What you can't see after the demo.... ************* MAY CONTAIN A SPOILER***************** TO DATE, This series remains my favorite. This is the 1st game in the series and #’s 1 & 3 are the ones I like most. The storylines are so unusual and so well thought out that you really want to help each character. Each new chapter becomes an adventure. It is 2016 now and I have not seen a story this great SINCE this series! I bought the CE's of, and played the other 2 in this series as well. The graphics are crystal clear in all the games. Keep in mind with the newer computers though; you need to adjust the graphics in OPTIONS by unchecking the widescreen box. You will lose a little of space- and have a 1" black bar on either side of the screen, but it clarifies the graphics and the scene is no longer stretched out to fill the screen. It is also important to point out.... this has the list type of hidden object scene. Some items you find multiples of and some items require additional steps. 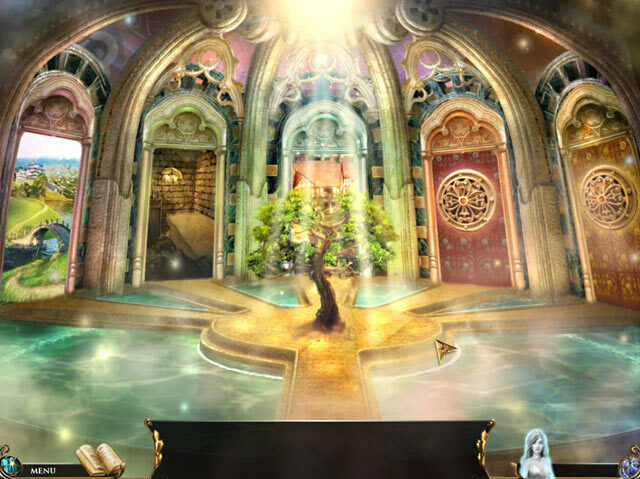 I still love the "list type" of hidden object scene the most. Most of the newer games --WHY- I will never know-- have the silhouette type, which I can’t stand; you can never tell what the object is. The only thing that could make these 3 games better would have been a portal, fast travel- tasked map. Sadly, none of the older games had those. Each chapter --in all the games in this series-- is a little short story about how you are reincarnated into a prior life and you must redo that lifetime over. THESE STORIES ARE INCREDIBLE, And super innovative! I use the plural because each Chapter has its own little story that ties up at the end of it’s chapter. The story can truly make or break a casual game for me. I am so tired of evil queens or flying fantasy creatures. I can't stand the monster-smoke dude that invades a town either. So this series is so refreshing to play. I have played casual games for YEARS.... and tested everything that EVERY DEV. at BFG has put out here. So I feel confident I have seen pretty much all there is as far as storylines, the good and the bad. I just keep crossing my fingers, that someday, the DEV will grow tired of the same story lines and make a new version of this series. This game has a REALLY FUN, and helpful DIARY. You need to take the time to read this diary, with each new chapter....because there are little added quotes and details that push each chapter’s story. There are also terrific quotes. In one chapter you go to the past, in China. This game has some of the best mini games I have ever played. One is with a flute, and colored notes and tones. Another is a Tea Ceremony. And finally, another of my favorites is one with a loom and you use yarn to create a matched pattern. MY FAVORITE CHAPTER IN THE GAME: Is definitely where you play as a little dog that is in love with another adorable dog. It is such a fun level, you leave it feeling happy. Like when you watch a great movie that puts you in a good mood. HERE ARE SOME OTHER GAMES, VERY SIMILAR TO THIS GAME, AND THIS SERIES: 1. Mysteries of the Mind: Coma --Like the Reincarnation series, you go back in time and fix things while in a coma-- 2. Redemption Cemetery Series -start with the first 1, you are in a cemetery and go through a portal to save a life; each chapter has a new story and person to save. 3. Haunted Halls: Fears in Childhood-each chapter you help a different child overcome a fear. 4. House of 1000 doors series….I highly recommend them all except the last one. 5. Paranormal Pursuit --least like this series on this list, but has another GREAT storyline! This is really 1 outstanding game of 3 in a really awesome trilogy. All 3 are still absolute favorites of mine. Thank you Big Fish!!! 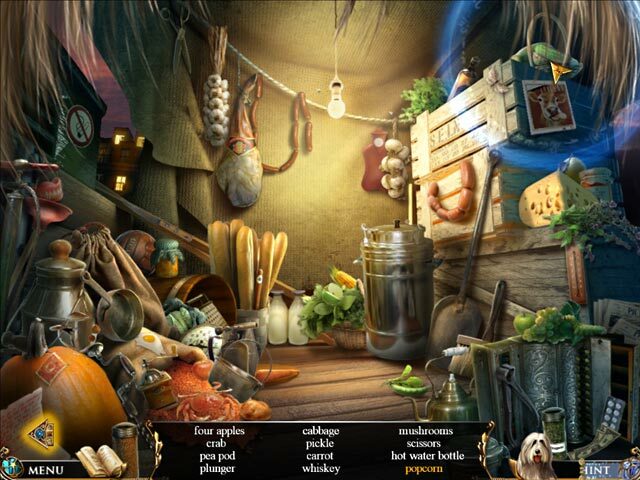 Rated 5 out of 5 by vijanda from FUN HIDDEN OBJECT GAME I love your hidden object games its very good and for someone who never played this games would not like to stop, your games are so good :) :) thumbs up! Rated 5 out of 5 by CherokeeBev from Reincarnation Enjoyed this game ! Would love to play the full version ! Rated 5 out of 5 by sapoe from good for me I really enjoy playing this game until end! Thank you dev, for making this great game! Love it! Rated 5 out of 5 by spiritlaughing from A Great HOG But Not A Hard Challenge If you like good clean graphics, hints and hand holding all the way through, simple puzzles, cheesy cut scenes, and more HOS than you could possibly want in a game then this is your ultimate HOG! And to those who do love plenty of HOS, I recommend this game. I gave it 5 stars because for what it is, it is good at it. 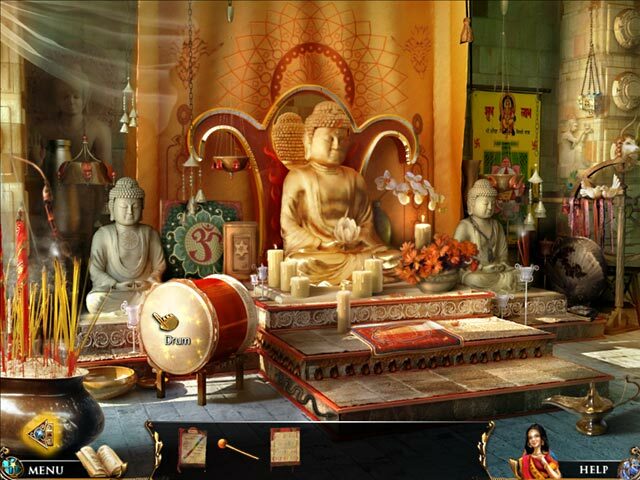 Rated 5 out of 5 by gmp71 from Hidden Object Game I enjoyed the game vey much it was entertaining. Rated 5 out of 5 by gadgetlover from Hope they make more like this one. A bit short. Very enjoyable though. Maybe too easy for some, although I like them pretty easy. I think I needed help once or twice though. Rated 5 out of 5 by catbag8717 from Loved It! I absolutely loved this game. Everything about it appealed to me. It definitely set the tone for the series. Good Parts: An excellent storline as Kate explores her past lives aiming to finish a novel. The storyline included voice-overs which was great. The graphics were great. The Hidden Object Scenes were great. The objects were easy to find which I loved. The game was very fun to play. The hint button was fast to recharge. OK Parts: The puzzles. There were some that I liked but the majority of tem were too hard for me, so I had to wait for the skip to recharge. Bad Parts: The only bad thing would be that there seemed to be a lot of delays getting in to the game. I was usually delayed by a puzzle or going back and forth. I loved this game, and 100% recommend it.